Washington, DC. “Our biggest break came not from our reconnaissance flights or enemy radio transmissions, but from another batch of captured documents.” said Rear Admiral (RADM) Edwin T. Layton, Commander in Chief Pacific (CINCPAC) intelligence chief. Dr. Greg Bradsher, senior archivist at the National Archives and Records Administration called it, “One of the greatest single intelligence feats of the war in the southwest Pacific area.” Both Layton and Bradsher were referring to the acquisition and use of the Japanese Imperial Navy Z Plan – a Top Secret master plan to defeat the US navy. This is an incredible story of how this document came into US hands and was used by US naval commanders in the battle of the Philippines Sea. Like his predecessor, Japanese Admiral Isoroku Yamamoto, who was killed in an American air ambush, Admiral Mineichi Koga, Commander in Chief of Japan’s Pacific Fleet, viewed the seas around the Marianas that included Saipan and Guam, as the last line of defense to protect the Japanese homeland. America’s goal was to gain control of this area from which bombers could make nonstop bombing missions over Japan and return. Koga wrote, and the Imperial Japanese Navy General Staff approved, a master plan which was called the Combined Fleet Secret Operations Order Number 73, or the Z Plan. The Z Plan which contained the Japanese strategy, number and kinds of vessels, number and kinds of aircraft, fuel supply, land base support and other resources for this engagement. When the US began attacking his naval headquarters in Palau, Koga decided to move his headquarters to Davao on the island of Mindanao in southern Philippines. Koga and his Chief of Staff, Vice Admiral Shigeru Fukudome, left Palau around 10:00 p.m. on March 31, 1944, in two separate four engine Kawanishi HSK2 flying boats. Fukudome was entrusted to carry the Z Plan along with other official documents, codes and maps. Both flights encountered a vicious tropical storm over the Philippines. Koga’s plane vanished and he was declared dead. Fukudome’s plane ditched in the water about two miles from Cebu City. Eleven survivors, including Fukudome, were rescued by Filipino fishermen the following morning, April 1, 1944, and turned over to Filipino guerillas. After eight days of walking, Fukudome and the other survivors were turned over to the American contingent that had stayed behind under the command of Lieutenant Colonel James Cushing. Separately, the Filipino fishermen had also retrieved from the sea near the village shore a wooden box that contained a bound document in a red leather portfolio with a Z on the cover. The fishermen sensed its importance by the way it was wrapped and passed it and other documents and code books to the Filipino guerrillas for delivery to Cushing. Meanwhile, the Japanese army and navy were making an aggressive effort to find and rescue the survivors, including the indiscriminate killing of civilians and the burning of villages. When Cushing learned that the Japanese were planning to intensify the killing of civilians, he decided to release the survivors to the Japanese invaders in return for a promise to stop the carnage. Since the Japanese demand mentioned survivors and no mention was made of documents, only the survivors were turned over in a formal ceremony between the Japanese navy and Filipino guerillas. Fukudome returned to Tokyo after a brief period of rest in Cebu and Manila, not knowing that Cushing also had taken possession of his copy of the Z Plan. 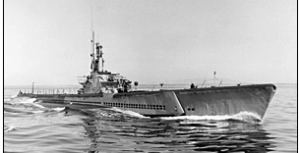 Sensing the potential importance of the document, General Douglas MacArthur’s headquarters at Brisbane, Australia ordered a submarine pick-up of the Z Plan on May 11, 1944, at a clandestine rendezvous site and time in Negros. After eight days, the USS Crevalle under the command of Lieutenant Commander Francis David Walker arrived in Darwin, Australia with the Z Plan which was then transported by plane to Brisbane. Following its translation by a five-person US Military Intelligence Service (MIS) team that included Niseis Yoshikazu Yamada and George Yamashiro, the Z Plan was delivered by special plane to CINCPAC headquarters in Honolulu. Admiral Layton ordered part of the document to be re-translated to include US Navy terminology. Subsequently, Admiral Chester Nimitz, Commander in Chief of the Pacific Fleet, on June 8, 1944 ordered its delivery to naval commanders at Eniwetok, where a planning meeting had just ended. It was delivered to Admiral Raymond A. Spruance on his flagship, the Indianapolis as he was preparing to move his 5th Fleet for the Saipan area. It was also delivered to Admiral William Halsey’s Third Fleet staff. Even though it arrived too late to reach Task Force 58 under Vice Admiral Marc A. Mitscher before it left Majuro, the Marshall Islands, copies were air dropped to his flagship, Lexington, on the high seas. Admiral Soemu Toyoda, successor to Admiral Koga, unknowingly used the compromised Z Plan with only minor changes to prepare his Sho Go Plan. This plan’s objective was to destroy the US Navy in a final major effort involving almost all of the remaining Japanese air and naval strength. The battle of the Philippine Sea occurred on June 19 – 20, 1944. The Japanese mounted a decoy to lure Admiral Spruance to a chase. However, Spruance, who had read the Z Plan, did not take the bait. The Americans rendered the Japanese navy and air force impotent for future engagements. The acquisition of the Z Plan was achieved because a number of elements came together: (1 ) it was spotted and picked up on the shores of Cebu by patriotic Filipino villagers who sensed the importance of the documents, (2) there was effective Filipino guerrilla coordination with the American stay-behind contingent, (3) the successful clandestine submarine rendezvous at a pre-arranged location in southwest Negros Island and the successful eight-day submarine trip to Darwin, Australia despite experiencing depth charges, (4) the skills and professionalism of the five MIS translators at the Allied Translator and Interpreter Section (ATIS) in Brisbane, (5) the timely delivery of the Z Plan to the naval commanders (the users) before the launch of the Philippine Sea invasion, and (6) a little luck. An 18-page time line of events has been posted on the JAVA website, www.javadc.org. The time line was compiled by JAVA research team from all available sources, including the excellent article by Dr. Bradsher in Prologue Magazine, Fall 2005, Vol. 37, No. 3. The time line includes contributions by Professor Shinzo Kitamura, a retired Japanese Z Plan scholar, whose remarks in the Time line are in blue font. Nievo Namata, a Filipino American of Cebuano origin, verified and updated place names. When he visits Cebu in 2015, he plans to attempt to obtain Cebuanos perspective to this episode. If successful, this third dimension to the Z Plan should increase the value of this timeline.